If you’re like jazz trombonist and music producer Delfeayo Marsalis, a member of the acclaimed Marsalis family from New Orleans, you appreciate the “old-school” ways of doing things. For Marsalis, that means doing without automated music created and played at the push of a button, cooking without a microwave and not being too quick to replace a lost cell phone. “Some people ask, ‘How could you go weeks without replacing your phone?’ But for me, I look at it as a much needed vacation,” he says. While Marsalis isn’t anti-technology, he fondly recalls a time when more people interacted with others who are right in front of them, rather than staring at a gadget in their hand – especially when it comes to family. The father of a young teenager, he offers the following tips for improving quality time by doing without the ubiquity of cell phones. • Consider a “No Cell Phone Day.” In fact, that’s the name of his new children’s book, (www.KidsTownPress.com), about a tech-entrenched father who spends a happy birthday exploring New Orleans with his daughter – without his cell phone. 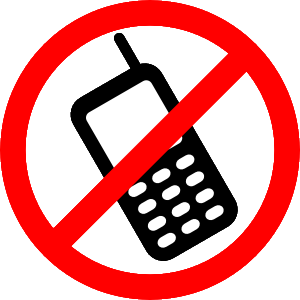 A monthly “no cell phone day” allows you to fully engage with the people around you, whether they’re your kids, your parents, or your friends. Without the distractions of work and spam email, you’ll can have meaningful conversations and simply spend time laughing with the people you love. You’ll have those memories to cherish for a long time to come. If you really want to connect with yourself and loved ones, plan on a regular No Cell Phone Day. • Play dates that don’t require cell phones. When Marsalis takes his 13-year-old daughter and her cousins out for a fun day out at the mall, followed by a movie and dinner, he makes a deal with them to leave their phones at home. • Make dinner time a cell phone-free zone. While food is especially important to any self-respecting son or daughter of New Orleans, sitting down to eat together is a sacred time for every family. Children and adults alike face significant stress and pressures every day in the world outside the home. Closing the doors on that world and coming together for an hour each evening to relax and refresh in the comparative safety of those who most love us is essential to our well-being. • Play “What Do I Know without My Cell Phone?” Research suggests cell phones are compromising the short-term memory of children. More and more of us – children and adults alike – rely on our smart phones, rather than our memories, to retrieve information. Exercising our brains with trivia, math and other cognitive games can help all of us stay mentally sharp. • Most importantly – don’t be afraid to be bored! Life doesn’t have to be a sci-fi movie all of the time. Ask your child to reflect on their greatest memories to date; chances are 0 percent that the content of those memories will involve cell phones. While Delfeayo Marsalis (dmarsalis.com) is known primarily for his work as a jazz trombonist and music producer, and has been involved with youth education for many years. In 2000, he founded the Uptown Music Theatre to provide arts education for the youth of New Orleans. UMT has staged 16 of his original musicals. Inspired by his autistic younger brother, Mboya, Delfeayo has volunteered and presented shows at Children’s Hospital of New Orleans, including the therapeutic, “Swinging with the Cool School.” “No Cell Phone Day” is his first children’s book.